Nashville, TN: Chalkline Sports, the leading North American free-to-play (F2P) sports betting platform, and Parx Casino have launched a F2P sports betting site in advance of Parx Casino’s impending sports book rollout. All Chalkline games are backed by proprietary BettorAnalytics tools that programmatically identify opportunities to reduce acquisition and engagement costs. The team behind the award-winning platform has operated regulated sports books in the US and Africa. Chalkline is an approved gaming vendor in NJ and PA. The new site is accessible to all players here. 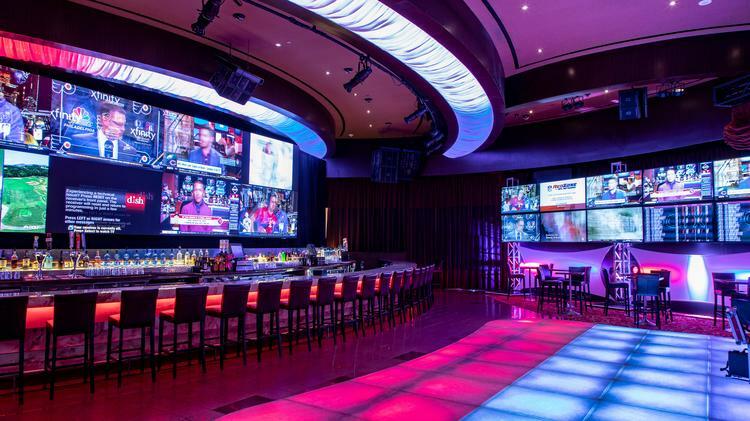 Parx Casino rolled out its retail sportsbook on January 8th, with a mobile platform to follow early on in 2019. Chalkline Sports’ F2P games will act as an integral part of Parx’s online sports betting rollout. Chalkline Sports delivers a marketing and data solutions to enhance customer acquisition and engagement through Chalkline’s BettorGames. All Chalkline Sports games are mobile-first, and can be accessed easily via phone, desktop or app. The initial set of Chalkline games featured a Bowl Game Leaderboard Challenge, where players make picks each week on a slate of featured college football match-ups. Players make picks against live odds for a chance to move up the rankings and claim a top prize of site credits on the Parx Casino Sports Betting platform as soon as it launches. Parx and Chalkline also launched with locally-focused games with national appeal: NFL picks against the spread, totals and highest-scoring quarters for Philadelphia and Pittsburgh’s weekly games. Additionally, Parx Sports Games feature an NHL perfect score picker game for each Philadelphia game. Chalkline’s turnkey F2P sports games platform features real-time tracking with BettorAnalytics, empowering Parx to understand and optimize game play activity, unique player metrics and player acquisition source. Parx Casino® is owned and operated by Greenwood Racing, Inc. and is the #1 revenue generating casino property in Pennsylvania. Parx features over 200,000 square feet of gaming; 3,270 slot machines and 148 live table games; 40 poker tables; live racing & simulcast action. The Chalkline Free-to-Play (F2P) Sports Game platform provides turnkey customer acquisition and engagement tools for operators and media. Chalkline F2P mobile-first live-odds competitions engage and educate sports bettors and fans of all experience levels, and the platform has quickly deployed over 1,000 F2P games from over 100 leagues in 40+ sports. Players can challenge friends in season-long games or enjoy snack-sized pop culture favorites like 2018’s Royal Wedding Game.